Sony, Nintendo and Microsoft will now be able to manufacture and sell video game consoles in China without any restrictions. A longtime ban on consoles has been completely lifted after a pilot reform program that started in 2014 was deemed a success, according to a statement from China's Ministry of Culture. Video game manufacturers must still comply with strict regulations, obtain business licenses from the government, and ensure the gaming systems don't promote anything that would "harm national unity ... [or] violate public morality." The rule change means the makers of Xbox (MSFT), PlayStation (SNE) and Wii (NTDOF) now have complete access to China's fast-growing consumer sector. Previously, consoles were only allowed to be made in the Shanghai Free Trade Zone, an experimental testing ground for economic reform. "We welcome the move," said Sony spokesperson Sousuke Kamei. "We remain committed to delivering fun and exciting console gaming experiences to as many Chinese users as possible." China's blanket restrictions on the manufacture and sale of consoles and games took effect in 2000. It wasn't a particularly unusual move for a government that heavily and routinely censors media -- images, films, foreign news outlets, websites -- for content it deems politically sensitive. Facebook (FB), Google (GOOG), and Twitter (TWTR) are blocked, for example. 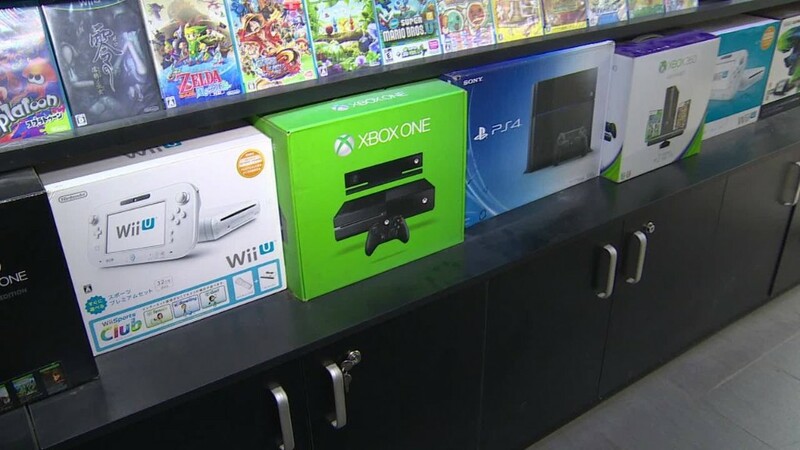 With the ban in place, Chinese gamers keen to try consoles were forced to rely the black market to find the latest hardware. Controversial game titles -- which can still be banned by the government -- were also available from underground suppliers. Yet the restrictions did little to slow the proliferation of PC, online and mobile gaming in China, all of which flourished in the absence of console-based entertainment. Nintendo said the company is "continuing our research and study about the China market," but declined to comment on the specific restrictions being lifted. Representatives from Microsoft were not immediately available for comment.